CONDITION REPORT: The dial has faded over time to a stunning brown color. The dial lume has darkened over time and is original radium. The hands appear to be transitional for 1962 and contain original tritium which has darkened and some portion slightly fallen. The watch has en engraving on the case back corresponding to its movement number as well as 'No. 1 MU' and serial number. The case is also been made slightly matte. This is likely a military service watch. Overall, a stunning watch with a lot of character. 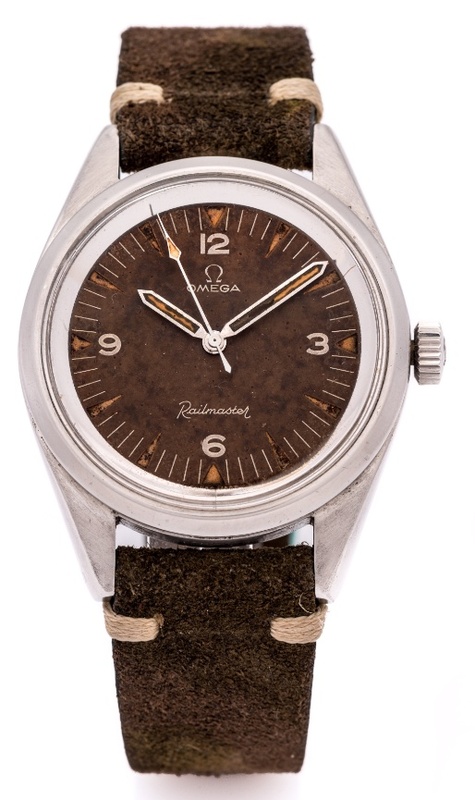 Notes: According to the Omega Museum, the present watch was delivered to Sri Lanka in January 1962.